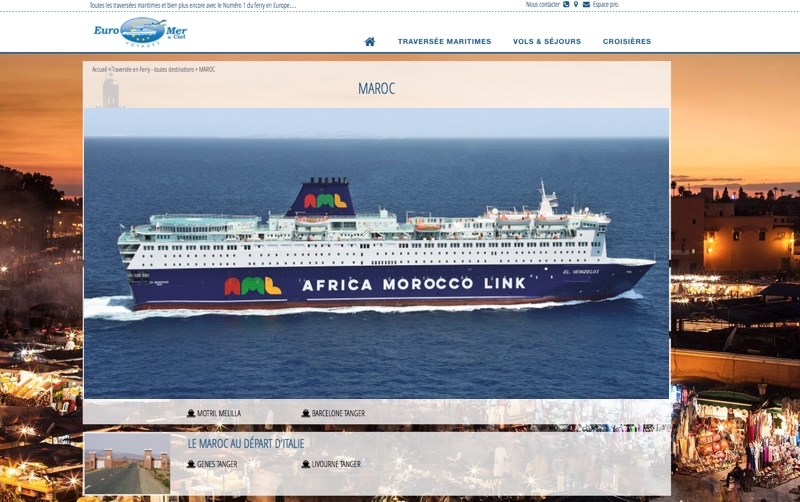 Launch of new ferry link between Europe and Morocco | Pharos Data Ltd.
A major investment in new services was established recently for passenger and freight services between Morocco and Europe. Attica Group was chosen by the Moroccan banking group BMCE’s Bank of Africa as its strategic partner to operate the services through the new company Africa Morocco Link (AML). The choice of partner centred on Atticas’ well proven and long standing operational excellence. The new ferry link connects Algeciras in Spain with Tanger Med in Morocco up to 8 times per day. As AML’s main agent for France Pharos client Euromer of Montpelier is well established and looks forward to the new service becoming available.